Below you can view all the homes for sale in the Buckhead Forest subdivision located in Atlanta Georgia. 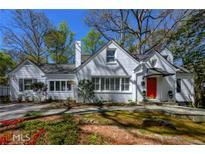 Listings in Buckhead Forest are updated daily from data we receive from the Atlanta multiple listing service. To learn more about any of these homes or to receive custom notifications when a new property is listed for sale in Buckhead Forest, give us a call at 404-998-4063. Fenced Level Landscaped Backyard With Pool. MLS#6529228. Dorsey Alston Realtors. Steps From Atlanta’S Best Restaurants And Shopping. MLS#8552534. Simple Showing Inc.
Steps From Atlanta’S Best Restaurants And Shopping. MLS#6525672. Simple Showing, Inc..
Attic (Possible 4Th Bedroom). Fenced, Flat Back Yard. Hurry! MLS#6525791. Clickit Realty. Attic (Possible 4Th Bedroom). Fenced, Flat Back Yard. Hurry! MLS#8551201. Clickit Realty Inc.. Meticulously Maintained. Can't Beat The Awesome Location! 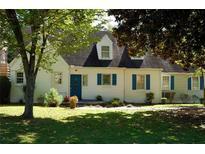 MLS#6521937. Atlanta Fine Homes Sothebys International. Hoa'S Less That $300/Month And Includes Water And Trash! MLS#6515545. Harry Norman Realtors. Active, Social Neighborhood - Holiday Parties, Socials, Etc. Included-8X10 Shed W/Workbench And Loft. MLS#6512963. Atlanta Fine Homes Sothebys International. Sarah Smith School District! Special Financing Available! MLS#6117023. Keller Williams Realty Intown Atl. Upstairs Find An Oversized Master With His & Her Custom Walk In Closets,2 Ensuite Bedrooms,& Large Laundry Room W/Loads Of Storage.4Th Bedroom, Full Bath & Massive Bonus Room W/Wet Bar Complete The Third Finished Level.Ultimate Location Just Seconds From Restaurants, Shopping, & More! MLS#6115021. 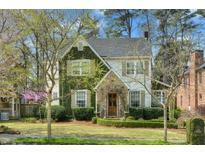 Atlanta Fine Homes Sothebys International.